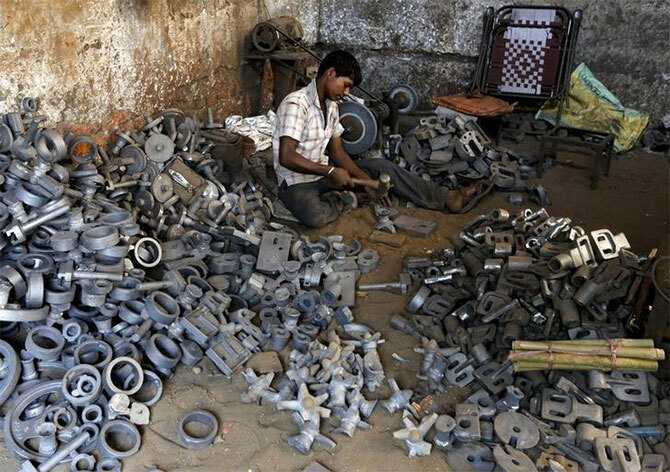 As lawmakers are in the process of clearing the decks for the rollout of the goods and services tax by July 1, small and medium enterprises (SMEs) appear to be the weakest link in corporate India’s efforts to be GST-compliant by the cut-off date. Of the estimated 8 million registered businesses under the VAT regime, around 90 per cent are SMEs. The GST applies to businesses with a turnover of Rs 20 lakh or more. The threshold is Rs 10 lakh for businesses in the north-eastern states. While large companies have engaged a battery of experts to help them transition to the GST regime, SMEs are still struggling to assess the impact on their businesses. “Most remain unaware that the GST will drive a behaviour change and is not just a tax change or rate change,” says Bharat Goenka, managing director, Tally Solutions. Tally, along with 33 other companies, has recently been appointed as GST Suvidha Providers to help businesses transition to the new regime. “We estimate less than 10 per cent of SMEs are in a GST-ready position,” says Pritam Mahure, a Pune-based chartered accountant and GST trainer. VS Datey, editor, Taxmann.com, says at best 50 per cent of SMEs have IT systems robust enough to comply with the requirements of the GST. Apart from the need to invest in IT systems, the challenge for SMEs, say experts, is that they do not have the manpower to follow up with their vendors or suppliers and the wherewithal to ensure payment of the tax by them. Under the GST the buyer of a good or service is totally dependent on the seller for any input tax credit. The tax credit available to a buyer is dependent on the return furnished, tax collected and deposited by the seller in the course of a sale transaction. There are provisions in the GST law that mandate input tax credit will be available to a buyer only if the supplier has paid tax within a given time-frame. Each invoice for a business transaction is registered with the GST Network and matched for compliance against tax and input credit claims. The new indirect tax system has also brought in the concept of compliance rating made available in the public domain that tracks the record of a business in filing returns and paying tax. So clients, existing and new, can refer to this rating before entering into any business transaction. To prepare for these technology-driven changes in the business environment, SMEs have to first automate their business processes and accounting systems. “Any upgradation of the existing accounting system has to reflect information as required under the GST,” says Akash Nangia, director, SISL Infotech, a GST Suvidha Provider. According to Goenka of Tally Solutions, businesses need to review their purchase and expense portfolios and ensure that their suppliers are compliant and capable of uploading their invoices so that they can avail the input credit. Any break in the tax chain will mean non-availability of input tax credit for all the players involved. “Breakdown in the input tax credit will affect everyone in the supply chain,” says Mahure. Given that input tax credit can only be availed of if the tax is paid within a stipulated time-frame, experts expect there could be some additional requirement for working capital for businesses in the short to medium term. “Working capital requirements are likely to undergo a change,” says Nangia. For some cash-strapped small businesses that could result in higher borrowing to ensure that the input credit chain is not disturbed. “Any break in the chain is not a viable option for small businesses as this will impact their cost structures,” says Ankit Agarwal, managing director, Alankit, another GST Suvidha provider. However, businesses that ensure a smooth transition to the new tax regime may gain a cost advantage of anywhere between 2 per cent and 4 per cent, says Goenka, derived through tax efficiencies generated across the system. GST Suvidha Providers targeting the SME segment are working on various in-the-box solutions. “We are tailoring solutions for different industry segments, customising them at the client’s end,” says Agarwal. Given the diversity in the profile and size of SMEs -- ranging from production units to service centres – solutions have to be customised to the needs of the industry segment, say tax experts. As part of the outreach programme Alankit claims to have roped in several partners with industry-specific expertise to target various SME segments. Plans are on to organise workshops for SMEs in 55-odd cities, says Agarwal. Nangia says the key is issues around ease of invoicing, filing of returns and payment of tax. According to Datey of Taxmann.com, it is working on tools that will enable SMEs to transfer data from their existing accounting software to spreadsheets that will enable firms like theirs to upload the data. Pricing models to tap the business need of SMEs to be GST-ready are still in the works, say most the players. Agarwal estimates the business opportunity to make SMEs GST-compliant is worth at least Rs 3,000 crore (Rs 30 billion). “Pricing is likely to depend on the number of transactions they make in a year,” he says. It is still early days for both SMEs and the service providers in the path to be GST-ready.